EXCLUSIVE AT NET-A-PORTER.COM. 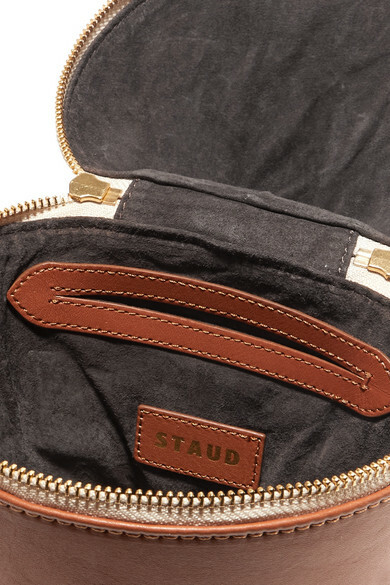 If the success of STAUD's other bag launches is anything to go by, this new 'Minnow' tote will sell out so quickly. 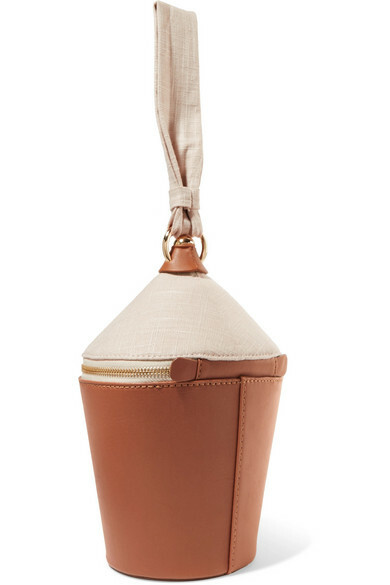 Designed just for us in LA, it's made from smooth brown leather and beige canvas and has a supple wristlet strap. 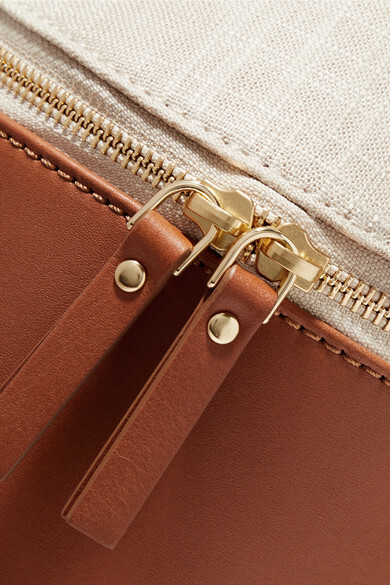 The label's founder Sarah Staudinger always carries a teasing comb and measuring tape in hers, but there's also room for a cell phone and cardholder, too. 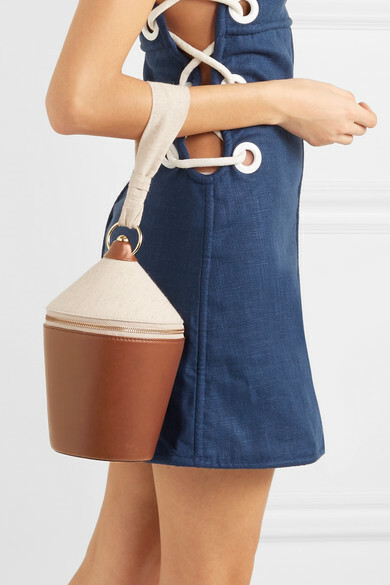 Shown here with: STAUD Dress.